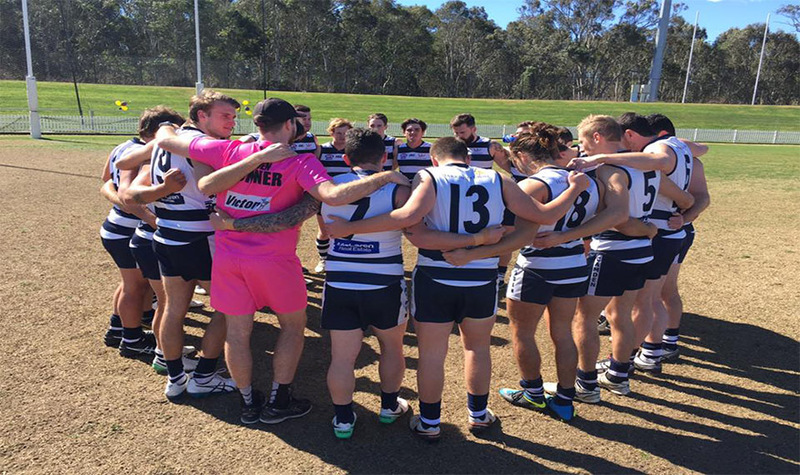 The Camden Cats are set to make their AFL Sydney Men’s Premier Division debut this Saturday afternoon against Western Suburbs. Elevated to the highest division of the competition post the 2017 season, the Cats’ overall performance – on and off the field – see them in this position to take on the best teams in Sydney. Camden Club President, Joshua Leys says he is looking forward to seeing his club perform at the highest local level. “As a club it means that all the effort – 10 plus years since the re-entry to AFL Sydney – both on and off the field has finally paid off,” says Leys. “We realise as a club that the hard work is only just beginning though, and we have our heads down to ensure the longevity of such a move. The Cats will be led in 2018 by club stalwart, Josiah Ayling, who takes on the role of Captain for the eighth year running. Ayling is the club’s most decorated player having won Camden’s First Grade Best and Fairest Medal four times – including 2017 – and their Second Grade Medal twice. Ayling will be ably supported by two Vice-Captains in Mark Maher and Nathan Kenny. Leys implores football fans to look out for multiple players who will make their mark in 2018. “Impact players will be everywhere this Saturday at the Cattery, with plenty of young guns including Bailey McParland, Jordan Ware and Matthew Edwards in the team. “Keep an eye out for the Cats’ seasoned veterans though including, but not limited to, Shane Doherty, Fraser Brown and Blake Pearce. “South Coast and Temora boy, Daniel Leary will play his first game of Premier Division football, with Aidan Bell looking for plenty of air time to give Collingwood’s Jeremy Howe a run for his money in 2018. The Camden Cats take on Western Suburbs in the Men’s Premier Division this Saturday afternoon at Fairfax Reserve, with the bounce at 4.30pm.